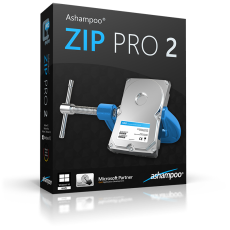 Ashampoo ZIP Pro 2 is not just an application but an extensive suite loaded with features around file compression, extraction, sharing and 256-bit encryption. ZIP Pro 2 can open and process more than 30 different formats with lightning speed thanks to multi-core support. It even includes backup functionality and comes with an integrated file explorer that features a classic split-view with cloud support, FTP access and, naturally, all ZIP core features. Escape the file format jungle with a single click! ZIP, RAR, TAR, CAB and many others - Ashampoo ZIP Pro 2 quickly opens your files and assembles multi-part archives with ease. Whenever you need to compress, extract, encrypt or send files, this program will get the job done and make your life easier. Save time and nerves and harness the full feature set of Ashampoo ZIP Pro 2! Owners of a full version receive the portable version for free! This allows you to carry the program with you wherever you go, e.g. on a portable hard disk. All settings stored on that disk will automatically be read as soon as you plug it into a PC. The portable version is smaller but still very powerful and offers almost the same feature set but without the need for installation! Ashampoo® ZIP solves two common email issues at once: size and security. The Outlook add-in enables you to compress and encrypt your mails securely. You can either specify the file size threshold that triggers encryption and select the compression method and encryption settings manually or have the program do it for you. And since these features will be added directly to Outlook, you don't have to launch any external application. 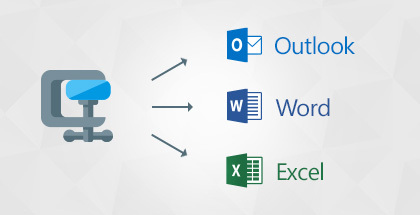 The Word and Excel add-ins also feature functions to compress, send and encrypt your documents. Everything is easy and integrates with your existing programs! Are you missing the old, split-view Windows Explorer? 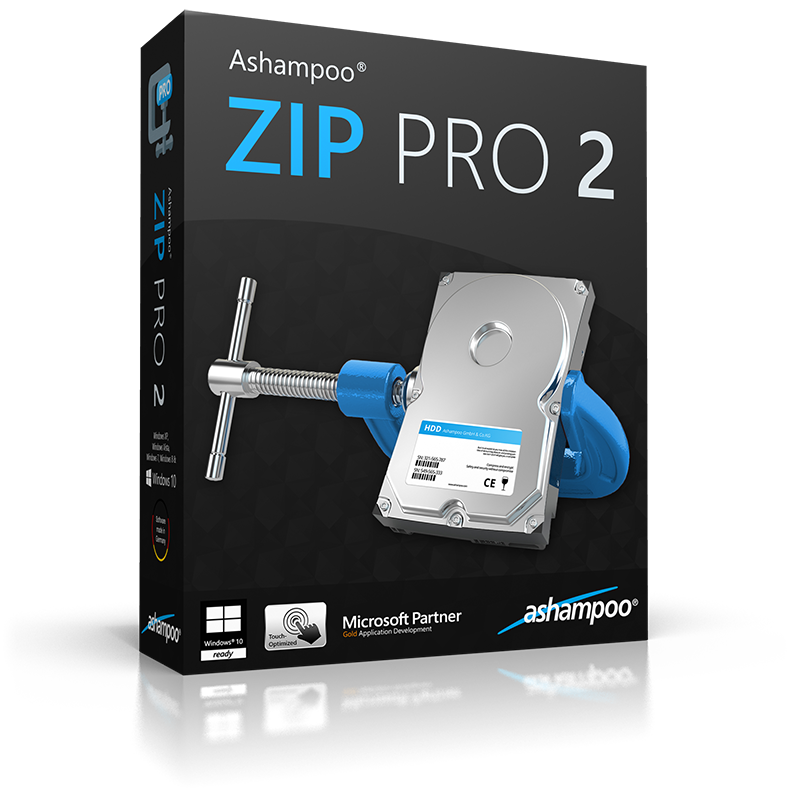 Ashampoo® ZIP Pro 2 masterfully implements this concept and adds features to compress, extract, burn and send files along with many other useful functions! Create and open archives or send them to the cloud, connect to FTP servers or enjoy the powerful file preview feature, it couldn't be any easier. Powerful but intuitive and self-explanatory. Enjoy the file explorer you always wanted! Ashampoo® ZIP Pro 2 can protect your files with strong 256-bit encryption against unauthorized access. This includes Office and PDF documents that can be signed and encrypted from within their applications. This is recommended for official or sensitive documents to improve security and credibility. Keep your files safe and unaltered with Ashampoo® ZIP Pro 2. Ashampoo® ZIP Pro 2 makes it easy to convert your discs into file images that can then be used like any ordinary disk drive. It's as if the CD (DVD, Blu-ray) was in your drive but with faster and more convenient file access. 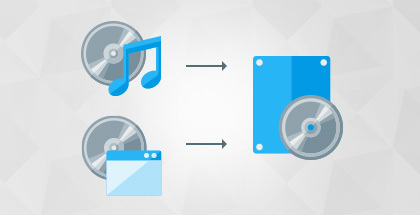 You can also set up multiple virtual drives and use them in parallel, ideal for disc images! Smart system integration gives you access to essential ZIP features right in your Windows Explorer. 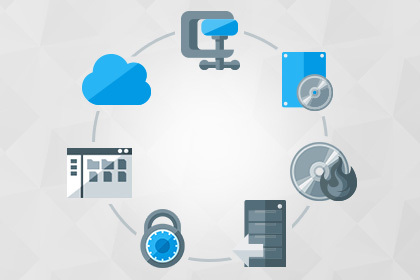 It only takes a single right-click to open, compress, send, encrypt or upload files to the cloud. ZIP doesn't need to be running, simply select a function and the program will do the work. Accessing various cloud services doesn't get any easier or more comfortable than with Ashampoo® ZIP . 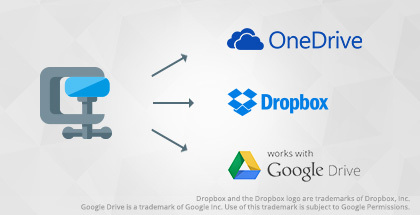 Upload and Download files via Dropbox, Google Drive, Amazon S3, Sky Drive, Box.Net and Azure right from within the program. You can open file archives live and even perform file backups to the cloud! Simply put in your login data and you're all set. Sounds user-friendly? That's because it is! Downloaded files or files hosted on corrupted storage media are frequently damaged and seem irrevocably lost. No need to abandon all hope. Ashampoo ZIP can repair these files and recover their contents. 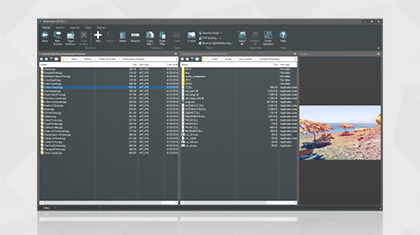 Retrieve damaged archives and recover your files. Ashampoo ZIP Pro 2 not only bundles a huge amount of really useful applications for file compression and archiving but also provides a high degree of comfort with file explorer and Office integration. 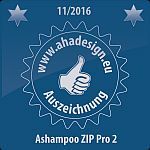 With ZIP Pro 2, Ashampoo once again offers an insane price performance ratio in an application suite that is definitely recommended.